Manually synchronize an On Server backup snapshot to a location. 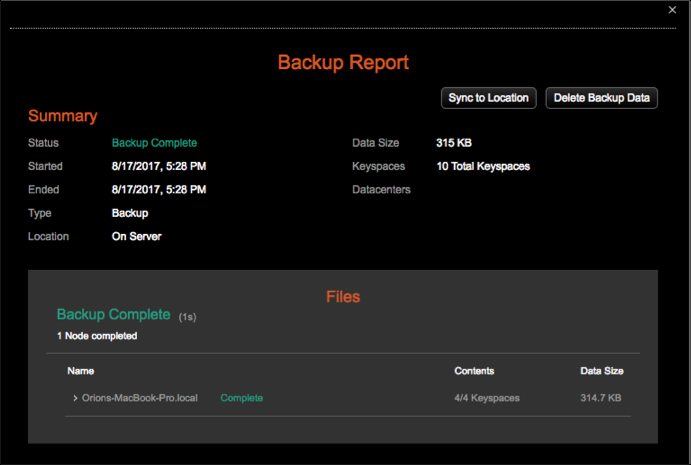 In the Activity tab, click on an On Server backup type that completed successfully. The Sync Snapshot to Location dialog appears. The Add Location dialog appears. Add a location to sync the snapshot to. 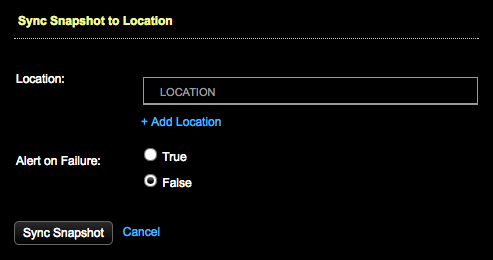 After clicking Save Location, the defined location displays in the Sync Snapshot to Location dialog. Select an Alert on Failure option. 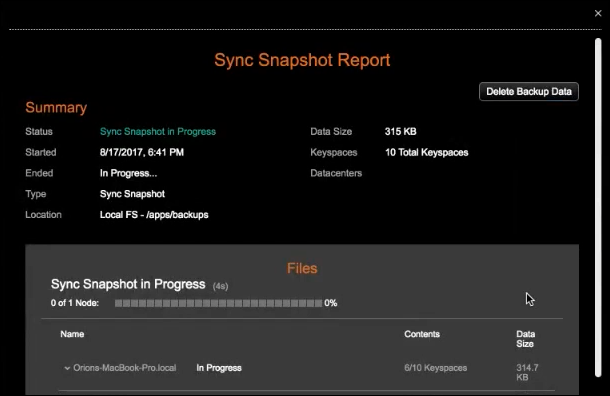 The Sync Snapshot Report dialog displays the progress.